-Checkering on grip for better control and feel. 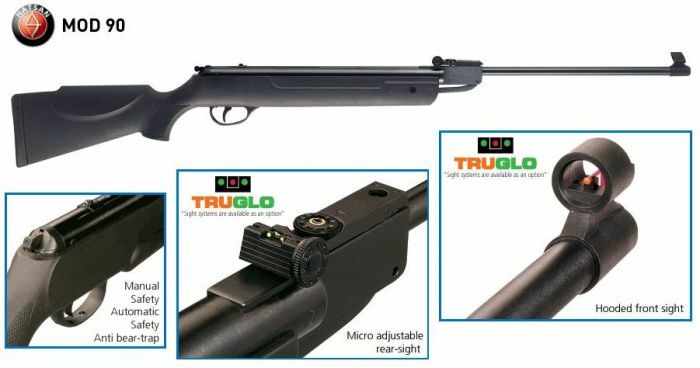 -Micro adjustable rear sight for both windage and elevation. -TRUGLO fiber optic sights with contrasting fiber colors (optional).